Perhaps one of the most frustrating aspects of the creation debate in our community, is the way some of our members misrepresent or misunderstand the details of what they are rejecting. The result is that they create a concept of evolution that is completely false – and then proceed to refute this ill-informed concept. The result is that we come across as amateurs scoffing at something we don’t understand. So, in this post, we’ll consider a video of one of these presentations. The aim is to review some of the points made about the process of evolution, and to point out the correct way to understand this topic. Even if one disagrees with the conclusions that scientists have made, there is no excuse to misrepresent their views. To begin with a general point that can be repeated through-out the presentation: Evolution is merely a process of gradual change over time. Evolution (as a scientific discipline) does not even try to explain the ORIGIN of life – that is a completely different field called “abiogenesis”. Evolution is a process whereby the genetic structure of an organism changes over successive generations – and those changes build up over time to ‘reshape’ the descendants. When enough of those changes accumulate to the point where the descendants are vastly different to each other, they are then considered to be a different species. The mistake that keeps getting repeated in this video, is the suggestion that the existence of this process rules out the handiwork of a Creator, and therefore those who accept this process reject the existence or power of God. This point can’t be stressed enough: those in our community who have accepted the evidence for evolution, are NOT dismissing God from the picture. Their position merely implies a view on the methods and processes God utilised to bring his creation to this point that we see today. The post below is structured around the video. The key points being made are shown with the times so that readers can find the context of the points being made in the video. Associated with each point from the video, is a comment on the point being made. [00:56] “Evolution is accepted as the answer to the origin of life”. Comment: This is wrong. Those who understand evolution do not confuse/conflate evolution (modification over time) and abiogenesis (start of life). Only those who do not understand the Theory of Evolution suggest that it explains the origin of life. [02:25] Man can’t calculate the number of stars. Compared to Isa 40:25-26 which says God created and named all of them. Comment: Agreed, the number of stars is wonderful proof of God’s creative power. But, the stars are an astronomical or celestial concept. Their might and wonder does not disprove the existence of a biological process on earth. [03:00] The speaker suggests that God’s creating of the stars (Isa 40:2-26) is challenged by evolution. Comment: This is a completely nonsensical statement, because biological evolution has nothing to do with astronomy. Comment: Right here, in this sentence, is the problem that causes so much unnecessary angst in our community. We are not scientists, and yet we presume to know more about these topics then those who are specialists in these fields. As the subsequent points discussed in the video demonstrate, because we are not specialists in these fields, we simply don’t understand what we are talking about – and we make all sorts of erroneous assumptions about the topic. As long as this practice continues, there will always be unnecessary conflict based on uninformed and mistaken views. Comment: This is a particularly senseless thing to say, because the fact that organisms survive implies that they are fully functional. That something changes over a prolonged period of time, does not make it “half-mutated” or “half-evolved”. [10:30] “All things created after its kind”. They will reproduce after their kind. This implies things will stay as they are, and there “is no evolution or migration of one species to another”. [11:25] (Psa 104:24) “How manifold are thy works”. Still discovering species. The diversity of life. Comment: The diversity of species is actually one of the strongest proofs of evolution, and certainly does not DISPROVE it. Comment: This is another non sequitur. The fact that the earth is full of God’s riches does not negate a biological process creating that diversity. [13:08] Prov 3:19-20. The creation of the world is governed by intelligence, and knowledge, and wisdom. Comment: Agreed, many atheists reject that the world is governed by an intelligent creator. However, once again the point must be made that those in our community who understand the processes of evolution, do not dispute this. And, the fact that there is an intelligent creator, does not negate the existence of a biological process of descent with modification. [14:00] “Evolution cannot explain the first cause” The Big Bang, etc. The speaker calls it “the first cause”. Comment: The Big Bang is a cosmological theory that has nothing to do with biological processes. Again, this is NOT evolution! The speaker says, “Evolution does not give you a starting point.” Well, this is true. It cannot define or explain, or give any kind of idea to a first cause. But those who study evolution do not suggest that it can. The speaker makes the point that his “first problem with evolution is that it cannot explain the First Cause”…. Once again, let’s make the point – those who study evolution do not suggest that it can. That problem resides with a completely different field of science (abiogenesis). So we need to be clear that uncertainty, or lack of knowledge about the “first cause”, does not negate the existence of a process of descent with modification. The speaker is confusing and conflating two very different concepts. Comment: Agreed, this is one of evolutionary theory’s biggest challenges. But again, this doesn’t imply it hasn’t happened. Yes, complex reproductive systems work beautifully. Yes, that cross-species fertilisation produces infertility is also true; but these do not imply genetic mutation doesn’t happen within a species. Comment: This has to be one of the tiredest and most hapless arguments raised against evolution. As discussed above, nothing is “half-formed or half-mutated”. Furthermore, the evidence for transitional fossils is beyond doubt. The reader can find more on this subject here (http://goo.gl/aL870). Comment: I have been unable to find this book or reference on the web, and thus cannot really comment on the context of the quote. Furthermore, the book quoted was published in 1982, which was long before the genetic discoveries of recent years which have put the existence of a common ancestor between man and ape beyond dispute. Comment: Yes, it’s true that there was a “Cambrian Explosion”, and it does present a number of challenging and important questions. No-one disputes this, but let’s put it into perspective. The Cambrian explosion lasted 20 million years! (https://goo.gl/qw3cT9). Even though we have many questions about something that happened over 540 million years ago, nothing about what happened during this time undermines or disproves descent with modification. Comment: This is a complete misquotation and misrepresentation of Gee’s work. Firstly, chimps did not TRANSITION to Man. Chimps and Man have a common ancestor. This has been proven through genetic advances since Gee wrote his book. Therefore Gee is NOT saying fossil evidence of this transition is lacking, because he would be the first to assert that no such transition took place. …and none of these laws suggest that mutations are a problem. Yes, while mutations can indeed be harmful, many are not. The speaker makes the erroneous assumption that all mutations result in deformity or additional organs, that mutations do not advance the species, and are harmful to the species. 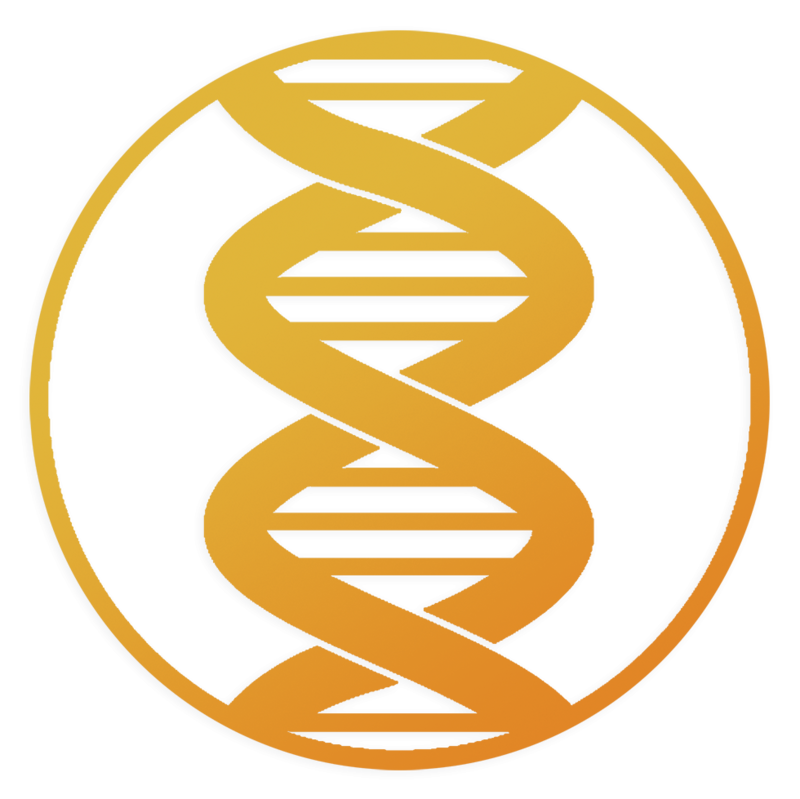 Ironically, it is the study of genetics that has shown us just how many mutations do occur from generation to generation, and these are NOT always harmful. Comment: Yes, the quote used on the slide does indeed discuss a complex ecosystem of food, digestive processes and so on. But again, it is basic biology to understand how organisms of differing complexities survive. Just because some ecosystems are complex, does not imply simpler ones don’t work. So no, “evolutionists” are not “struggling with this fact”, nor does the quote on the slide does suggest they are. [25:10] The complexity and uniqueness of life. The right everything and conditions for life. This is more than just blind chance. Comment: All these points are true, and no-one disputes our universe is not a magnificent place. Creation is truly a wonderful work of God. But again, this “wonder” does not negate a process of common descent. Comment: This point is based on a complete lack of understanding of even the most basic concepts in evolutionary biology. The speaker’s comment that “evolution says the plant evolved millions of years before the moth, and evolutionists have no answer to that” is complete nonsense, because symbiotic organisms would have evolved together. This is known as mutualism. Is it fascinating? Absolutely. Is it remarkable? Absolutely. But it does not disprove a biological process of descent with modification. [32:30] The speaker makes the point that Irreducible Complexity disapproves evolution. [36:10] The speaker discusses photosynthesis, again asserting that “evolution has not got an answer” for this. Comment: No one would suggest photosynthesis is not a wonderful process, But it does not disprove evolution. The argument that “it’s wonderful, therefore evolution is false” is hollow. Precisely HOW does photosynthesis disprove descent with modification? [38:00] “The Complexity of life presents impossible odds for evolution”. Between 38:00 and 52:00 the speaker offers a number of examples about how wonderful are the body’s systems and organs, and suggests that “the complexity and magnitude defies imagination”. Comment: This is what is known as an “Argument of incredulity” which is a logical fallacy that occurs when someone decides that something did not happen, because they cannot personally understand how it could happen. For example, the speaker makes a big issue molecules transitioning to cells using a quote from the University of Liverpool that states, “At this point we can pass over several hundred million years of evolution…” Firstly, I have not been able to find this quote online so I am unable to verify the comment, but if it is an accurate copy, then this quote has clearly been written for those at an introductory level. For those interested in understanding how molecules transition to cells, there is a more detailed description here (http://goo.gl/3zQ1Zl). Also, let’s not forget that the “building blocks” of our genome (DNA, RNA, and Proteins) are molecules. Comment: The speaker makes the point that shared DNA implies the same creator. I doubt any one would argue that point. But he has overlooked the fact that what’s broken in one is also broken in the other. Thus the question that begs asking, is why would a creator use the same broken genes, and the same mutations, and the same partial sequences? The fact the same mutations and non-functional sequences can be found across species is the very proof that exists for common descent. There simply is no other explanation. But having said that, once again the point can be made, that this argument does not refute the process of descent with modification. Comment: Let’s recap something. At the start of the talk, around the 4:10 mark, the speaker specifically defines evolution as “the change in the inherited characteristics of biological populations over successive generations…” It defies logic that he then equates this process with everlasting life. Strictly speaking it’s true, a biological process that results in descent with modification will not provide one with a hope of everlasting life. But that’s because one is a spiritual concept, and the other is a biological one, not because one’s an alternative to the other. This talk has been promulgated publicly, on the internet as “the clear teaching of the Bible”, representing our community to the world. Yet it portrays such a profound lack of knowledge and understanding on the very subject it is purporting to refute. This is not how the gospel should be preached, nor is it how God’s word should be represented. It is my hope that the earnest reader will follow up the links I have provided, so that irrespective of their views on evolution, they will at least find themselves better informed as to what is ACTUALLY taught on the subject.